Start burying more putts right away with these Tour-proven, slope-detecting green reading tips. 1. Stand behind the ball and close your eyes. Rock your weight side to side over each foot. Your feet can detect subtle slopes that your eyes don't see. 2. 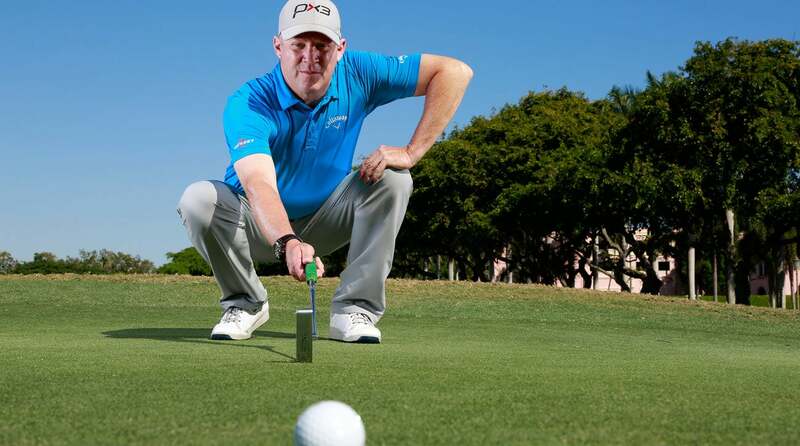 Divide your putts into thirds: the start, the middle and the end. Give more weight to the slope you see on the last two legs. Speed at the start usually negates any break. 3. Decide whether the putt is downhill or uphill before worrying about left or right movement. You need to know how hard—or soft—to roll it before you choose a line based on break. 4. No need to read from behind the hole. Getting good looks from behind the ball and from the low side should provide all the info you need. Too much data can cause tension. 5. When you walk onto the green, do it from a direction that matches your approach shot. This helps to tell you how the ball rolled after it struck the putting surface, which in turn clues you in on how best to roll it to the cup.